Call today for 24-hour emergency sewer cleaning, at 201-645-0888. How to Use a Mini Rooter for sewer cleaning for floor drains, roof vents and medium-sized drains. This article gives you operating instructions and safety procedures for using the mini-rooter, the right machine for cleaning washtubs, small floor drains, roof vents and other, medium-sized drains. It is not a complete list of the recommended safety procedures and will not provide specific instructions for every application. Ask your rental dealer for a complete list of safety procedures. He can also give you more specific instructions to solve your particular clogged drain problem. Disregarding any of the safety procedures while using the mini-Rooter, can result in serious personal injury or damage to the equipment. To determine whether you’re using the proper draining clean tool, we must first locate the source of the problem. If only one drain in the house is backed up, the clog is likely to be in the small line leading directly from that drain. If the clog is in a washtub, small floor drain or accessible through a roof vent, the mini rooter is the appropriate tool to use. If several drains are affected, the blockage is probably in the larger line, common to those drains. If this is the case, the mini-rooter is not the right tool for the job. Consult your rental dealer for a model designed for your larger drain lines. 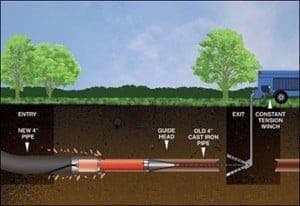 Never use the mini-rooter to clear clogs caused by tree roots. 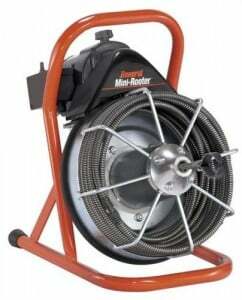 The mini rooter provides a safe-clean way to clear medium-sized drains. However, as with any power tool, certain safety precautions are necessary. Remember these safety rules as you operate the machine: Check the power cord to make sure there are no cuts or frames. Make sure the grounding front is attached to the base.Be sure that the machine is plugged to a grounded outlet. Verify that the ground is connected. If the mini-rooter’s power cord is not connected, use a three wire, heavy duty extension cord. Make sure the ground front is in the right place. Using an un-grounded extension cord is very dangerous. Test the ground floor circuit interrupter before each use: Press the test button and then press the reset button. The light will indicate that it is operating properly. Do not operate the machine while standing in water. Wear leather gloves, to protect your hands when you are handling the cable. Do not use cloth gloves.Wear safety glasses or goggles to protect your eyes from any debris thrown from the rotating cable or drain opening. Operating the mini rooter is a one-person job. Never have anyone else operate the foot pedal. This can result in serious injury.Never use the machine in a drainer that has a chemical drain cleaner in it. Know how to shut off the machine in an emergency. Choosing the right cutters for your clogged drain problem is important. Your rental dealer will supply the appropriate tools for your needs. The arrow heads, or 1 1/2 inch cutters, are good cutters to start with. They are ideal for cutting and scraping. The boring gamblet (3.38 illegible) is for removing loose objects. The two-side cutting blade is a good finishing tool. It scrapes the walls of the pipe for a more thorough cleaning job. Start with the smaller cutters. Then, change to the larger cutters after you’ve gotten the water flowing. To attach a cutter, first turn off the power switch. Then, remove the screw of the connector at the end of the cable. Underneath the screw is a lock washer. Make sure you don’t lose it. Put the cutter in the slot. 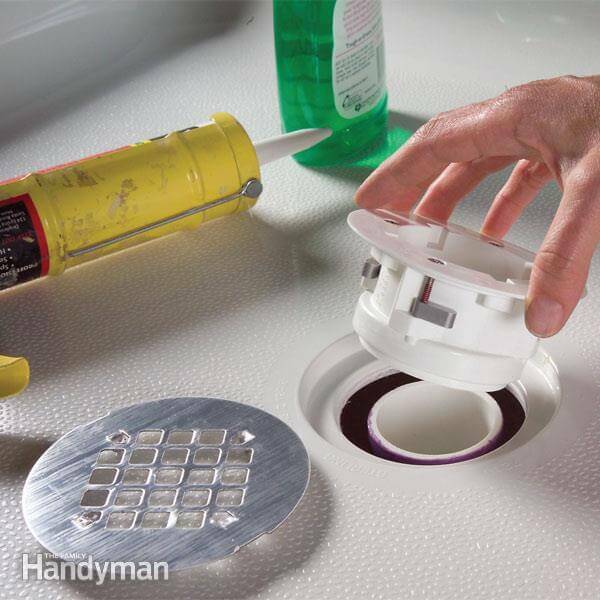 Replace the cut washer and connecting screw, then tighten the screw firmly.Before you begin the job, check out where the line goes. If possible, use an opening beyond the drain. Place the machine no farther than two feet from the drain opening, to avoid cable whipping and kicking. 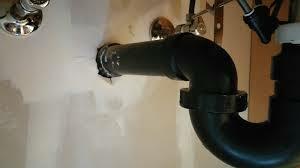 If you can’t place it that close to the drain, run a cable through the metal pipe to prevent the cable from whipping. Pull the cable out of the cage and push it into the drain, until it won’t go in any further. Then, pull out a little extra cable out of the cage, so that the cable is bold. Make sure the air foot pedal is placed so that you can reach it easily. Turn the power switch of the machine to the forward position. With both hands on the cable, start the machine by pressing the foot pedal. Start and stop the machine a few times, to get the foot of the pedal. Then, work the cable into the drain. Guide the cable into the drain with a firm, even pressure. When the cable slack is gone, start the motor by releasing the foot pedal. Depress the foot pedal and run the mini rooter in forward again. Don’t force the cable into the drain. You won’t clean the line any faster and you could damage the cable or seriously injure yourself .The cable must turn freely as the cage rotates. If it jams, the cable will build up torque, start to buckle and then, in the blink of an eye, twist itself into a series of loops. If your hands are caught in a loop, you risk severe injury. Again, do not force the cable.If the cable begins to buckle or twist, stop by putting your foot on the pedal. Then, rotate the cage in the opposite direction to untwist the cable. Push any excess cable back into the cage before continuing. Go slow. Again, don’t force the cable. If the cage stops turning, yet the motor is still running, you’re forcing the cable. The safety clutch will flip until you’ve stopped the machine and pull back on the cable. Push any excess cable into the cage. When you meet resistance in the drain, move the cable back and forth until the resistance lessens and the cable moves freely again. Always keep the mini-rooter motor switch into forward position, whether you’re feeding cable into the drain, or pulling it out. Use reverse only to release the cable if it gets stuck. If the cable gets stuck, switch the motor to reverse. Put both hands on the cable and run the machine for only a few seconds at a time. Running the machine in reverse longer, can damage the cable. When the cable pulls free, put the switch back in forward. Continue slowly working the cable into the drain a few inches at a time, until the drain is clear. Run water into the drain to wash away any cuttings and clean off the cable. 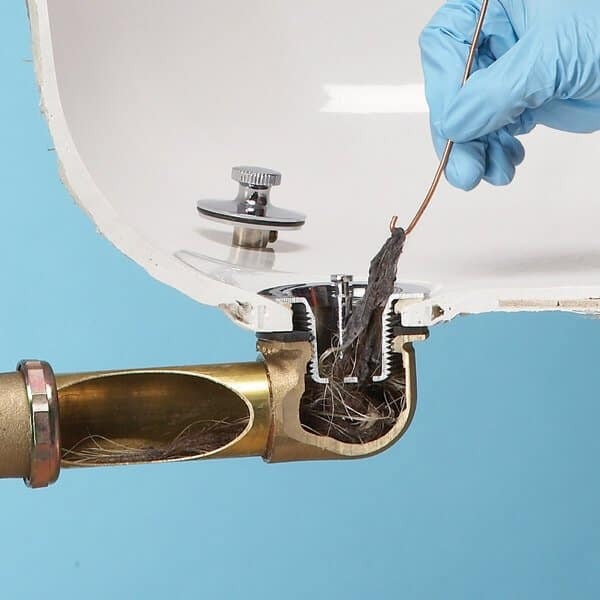 And when the drain is clear, slowly pull the cable out of the drain and feed it back into the cage. Make sure the motor switch is still into forward position.When you get close to the end of the cable, stop the machine and pull the cable out of the drain carefully.If you leave the machine unattended, switch the machine off and pull out the plug. If you have any questions or difficulties, ask your rental dealer. He’ll be glad to give you further assistance. At A1 Sewer & Drain Services, we provide professional drain cleaning and drain repair for problems that a mini rooter can’t handle. We also offer sewer services, including hydro jetting for sewer cleaning. 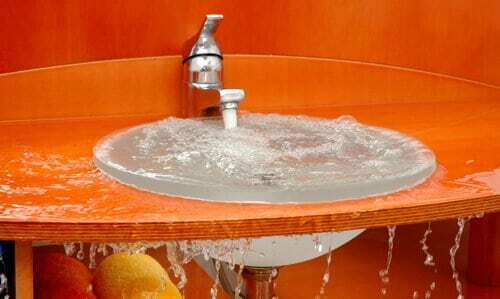 To get service from an experienced NJ plumber today, call us any time at 201-645-0888.